The earth’s atmosphere is divided into three major sections, the troposphere (sea level), the stratosphere, and the ionosphere. For over 50 years, the U.S. military have been studying ways to understand and control the ionosphere as a military intelligence strategic plan. Tesla technologies involve the manipulation of invisible universal electromagnetic forces. Tesla technologies also have very broad implication involving earthquake contrivances, world radar, particle beam weapons, and brain wave manipulation. Tesla technologies have the potential of destroying Planet Earth. In the 1880s and 1890s, Tesla worked with radio-frequency electromagnetic waves and did much of the most basic pioneering work in radio frequency technology. Tesla constructed a 180-foot high-power radio frequency transmitter and antenna. He claimed that he could transmit energy waves, and messages to any point on the globe. When I spoke of future warfare I meant that it should be conducted by direct application of electrical waves without the use of aerial engines or other implements of destruction…This is not a dream. Even now wireless power plants could be constructed by which any region of the globe might be rendered uninhabitable without subjecting the population of other parts to serious danger or inconvenience. In 1934, Tesla announced that he would create a space shield around the United States to protect it from enemy missiles, rockets, and planes. Tesla also claimed that he would zap enemy missiles, rockets, and planes from the sky with a “death beam”. On September 20, 1940, Tesla announced that he was ready to divulge the secret of his “Teleforce” and “Death Ray”, and his invisible “Chinese Wall of Defense” to protect the United States. Sava Kosanovich was a distant nephew of Tesla, who he allegedly detested. On the day of this death, Kosanovich, a man associated with RCA, a writer for the magazine Popular Mechanics, and a locksmith gained entry to Tesla’s room. They broke into Tesla’s safe, and the cover story is that they, instead of the Nazi's, removed Tesla’s research papers and materials involving the “death ray”, and the “wireless transmission of electrical current”. The FBI discovered that Kosanovich was a Yugoslavian Minister of State representing the government in exile. In 1941, Nazi Germany and the Axis Powers invaded and occupied Yugoslavia. The FBI believed that Tesla might have been working on secret experiments for the Yugoslavian government in exile. So now, we fully understand that HAARP was for mind control. I ask again, what could be powering HAARP? We know Tesla is in the coding, Tunguska is in Shi No Numa, the Death Ray drawings are in Der Riese, and HAARP is on the note. Let's figure this note out once and for all. Alright the FBI confiscated Teslas files and work after his death and they created HAARP. The Russians also got their hands on some of Teslas stuff and they created their own HAARP facility as well hence the death ray files in Ascension. I can feel it... there had to be a specific group who was interested in these experiments. Possibly the Illuminati. I think before the Illuminati got their hands on it the Germans were experimenting with radio waves and shiz. 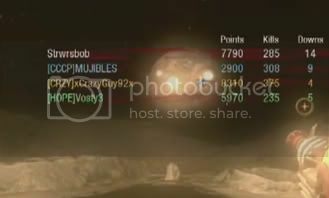 Possibly Group 601 in Kino Der Toten. Maybe this is why its so close to the Fernsehturm. and the reason I say Group "601". BlindBusDriver/Faust came up with the theory not me. This could possibly be a group who experimented with mind control and waves. They might've been in charge of Kino. Idk, oh damn. Wait, remember the voice in the Kino radio that we don't recognize, that doesn't sound like Maxis? What does it say? Is it maybe 601? But I have trouble believing 601 was at Kino. BTW, what is powering HAARP!!!?? Well the obvious but not so obvious answer would be 115... but I don't understand how that would work. I know the death ray needs an electrical force so the element could be used for that. But I don't see why that would be necessary... obviously I didn't design the death ray or HAARP so I don't really know how these things work. I still need to read this and formulate my opinion on it, but I saw Tesla and had to post. Did you know that he was designing a tower that could produce energy from the Earth's rotation? Unfortunately, the government shut it down when they stopped funding it. Also, Tesla claimed to have created a particle-beam cannon capable of destroying an entire fleet. The weapon was never found, and its existance is questioned, but the schematics were seen, and his house, including his safe, was looted when he died before anyone could get to it. Lol!!! If only you read the thread and realized I have those both in here That is all indeed true! Woh! What if the haarps are the missiles used to destroy earth! It make sense! haarp isnt a missile, those were just ballistic nukes. haarp is a research facility in alaska which sends EM energy through the ionosphere. it is said to have the capacity to change weather and start earthquakes, and some attribute it to mind control. there is a similar facility in russia and china is rumored to have developed one in antarctica, and also there is one in scandinavia. I do agree that the Eiffel Tower was going to be used as a very large broadcasting tower, that makes sense, the only thing I hate is that it is regarding Group 601 and not 935. Also, there's a LOT of things related to broadcasting/sound wave transmitting everywhere. Shangri La - radios maybe? There's a whole lot of hint to this stuff. What hut was the note in SNN found? *Although he invented 1,000s of wonderful technologies we still use even today, he was only able to patent 111 due to money issues and power struggle politically with this new tech. 4. x-Rays were also a result of Nikola Tesla experimenting with invisible waves and signals. 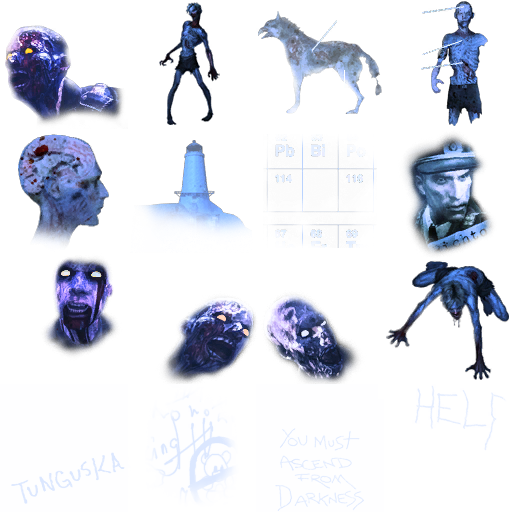 If you go to the campaign there are actually X-Rays of Crawler Zombies and other various things ,I forgot what they were. But it is in the Project Nova mission where you flash back to the boat in the arctic where you the russians obtain Nova 6. So, Nikola's invention was important in relation with Nova gas and it's effects. 5. Three Phase Electric Power / Polyphase System is a system where three wires or sources of power are required, due to a large amount of electricity. 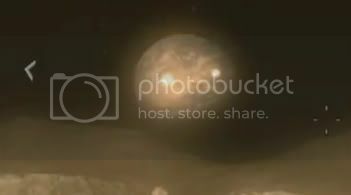 This is quite obvious to connect to Der Riese seeing that you need to link THREE pads to teleport, and potentially do time travel. Don't forget about this on the wall. 7. He experimented a lot with Magnifying HUGE levels of electric volts and discharge, possibly a connection with how the Wunderwaffe was created, remember Tesla's designs were mostly "stolen" by others, so I doubt he ever actually worked WITH 935 in this story. 8. High Field Emmision/Charge Particle research, could explain some of the science behind the Ray Gun, which was later upgraded by Henry Porter in Group 935. 9. 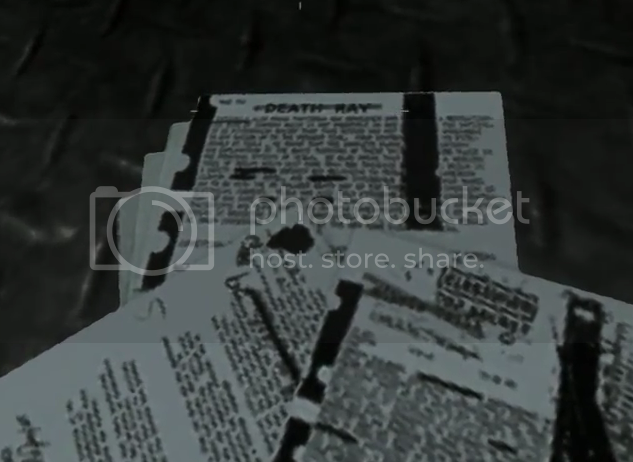 There was also a lot about the Death Ray that has been connected with HAARP and some things found in Black Ops, I will come back to this. 11. The VTOL experiments (Vertical Take-Off and Landing) never happened, but Tesla did have many theories about how vertical flight would be achieved, and in real-life his designs actually lead to the multiple bladed vertical take-off helicopters you see used today. Another very important point here is that Nikolas Vertical Flight research would be invaluable to Group 935's Die Glocke "UFO" time travel machine. *On a side note, this is probably the best inventor the world has ever known and not many people know about him, he created basically anything wireless you use today, radar, radio, ac motors, lots of electrical things we still use today, and the list goes on and on, he was truly a genius. Now, it may sound crazy, but remember that Elemnt 115 is not something that just grows on trees or is found naturally, it is created by bombarding lots of radiated atoms with each other. And requires massive amounts of energy. Nikola Tesla may have done this. 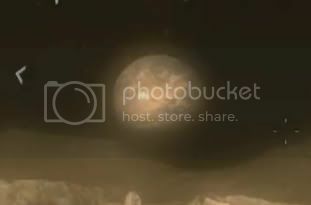 “Moon (Confirmed via Astronomical team)"
We know this because of the CIA obtaining this from Rebirth Island where the Soviets were studying Group 935's research. Nikola Tesla had a vision, to provide free wireless electricity and radio waves to the world, and also a device that would be a "death ray" of lightning or electricity and shoot down aircraft that might attack America. This would be done through his Wardenclyffe tower, which was going great until his banking financial supplier J.P. Morgan cut his funds short, realizing free electricity for everyone in the world would put his electric companies out of business. According to the designs, this tower could provide so much electricity that if focused and magnified it could provide enough electricity to have the force of a nuclear warhead anywhere in the world, and strike by a radio wave. But Nikola Tesla wanted to display the peaceful side of the tower, with free electricity, so he tested something similar in the North Pole region and aimed it at New York, however it did not work. But there was a huge explosion not long after in a region directly polar opposite of where Nikola was aiming, Tunguska Russia. This theory that he caused the explosion may not be so far-fetched, so let's go with it in this storyline of zombies, the amount of electricity and sheer force that this explosion would have caused with parts of the atmosphere raining down with a huge level of gathered and charged electricity could have the potential of creating Element 115. Perhaps in the form of a meteor? This is because devices like this use the ATMOSPHERE to transfer electricity, and the theorized 100 BILLION Watts this thing could release would surely be enough to cause an explosion in Russia 10 times larger than an atomic explosion. 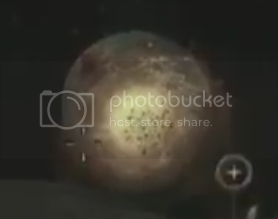 So, let's say that this thing caused the explosion in Tunguska, how does that explain where Element 115 was produced? Well, let's look at how it is known to be used in Zombies. Also, it says that it is used for powering the DG-2, Tesla's large output of electricity technology, and transporter technology as well, Die Glocke comes into play here. Some have even theorized that Tesla's experiments could disturb space-time, which I will go into later. Of course 935 did not at first upon discovering Element 115 realize that it also re-animated dead cells, likely sparked to life by the electricity acting as a "shock" to the brain. Later to try and be controlled through commands, possible HAARP style-radio wave implants and eventually by Samantha through an unknown force. There is no denying that Group 935 knew about Nikola Tesla's work and either used it to create Die Glocke and time travel with Element 115, or just copied what Nikola Tesla has created. The hard evidence is found when looking at the Chalkboards in der Riese. The First two are devices Nikola Tesla created and could provide theoretically a small jab of electricity wirelesly, and the third well, was amazingly powerful. The third was capable of doing so much, but in real life didn't accomplish what Nikola thought it would. In theory, this device could in a way release so much energy it would cause powerful radiation and extremely high voltage, both could have created a way to release or control element 115. It would also "grab energy form the air" and use an "aether" theory to create an effect where gravity didn't exist, ANTI_GRAVITY. These experiments on the board weren't very successful however, and there is a Vril-1 saucer showing they had tried other designs, but the bell was successful. Using Nikola Tesla's designs they could not only use Element 115 in things like the DG-2, Ray Gun, and many other strong weapons, but it could power devices like The Bell, and perhaps even HAARP, as we will discover in a note in SNN. The part about Aether is very interesting however, it is kind of a medium of "energy" everywhere throughout the universe, however with some complicated understanding of all of these devices, it would be possible to "bend" space and time. Which is exactly what Die glocke did in anti-gravity and Group 935 would soon discover Element 115 was capable of transmitting solid objects through Aether. Tesla's designs of wireless transmission and Element 115 could allow the MDT to transfer objects wirelessly or "teleport". But with this use of teleporting, 935 discovered that dead soldiers who were being tested in the machines came to life and were "zombie-like". The nature of Tesla's designs on the boards shows that Group 935 had significant knowledge of radio waves, which is where Nikola Tesla's research in radio waves comes into play and where the HAARP note begins to make since. Group 935 not only benefited from Tesla's knowledge of free energy and his experiments that may have led to Element 115 to power Die Glocke and the MDT "basically the same thing"
If you look specifically to the right you can see the x-rays (again invented by Nikola Tesla) and the diagrams of the brain, perhaps these were after "surgery" where an implant to the brain was given in an attempt to control the zombies. 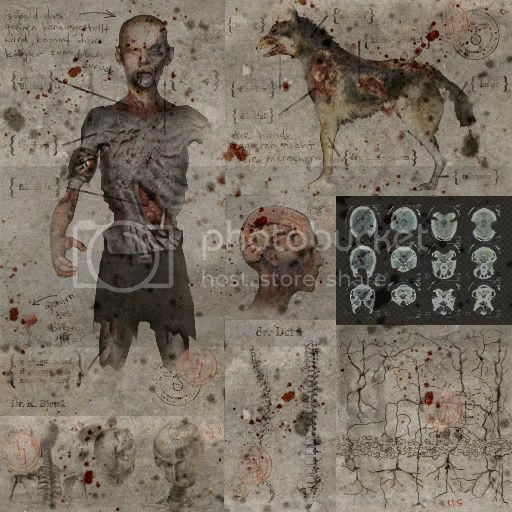 This is not so far fetched if we look at Verruckt zombies, who some have their head stitched together, as if they has been experimented on at some point in time. The zombies we face in the game are controlled by Samantha, and not by the broadcast towers, or perhaps Samantha uses the broadcast towers to control the zombies? I had a theory a long time ago when Der Riese came out, that the Eiffel Tower was really a large broadcast tower to control the zombies and that it would be the final map, of course I was wrong but it may still be a tower and was a scrapped idea back then. [center:32fkjgmc]*THERE IS A LOT MORE, AND THIS POST IS LIKELY VERY CONFUSING BUT THIS IS ABOUT ALL I CAN POST IN THIS ONE SITTING, THERE IS STILL A LOT MORE LINKING TESLA AND WHAT HAPPENED IN TUNGUSKA AND POSSIBLE USES OF HAARP, I WILL POST THEM ASAP. Have you heard of Tesla's Shield? Well I will quote it below from this thread here, comment on the other thread if you have any thoughts. In 1901, Nikola Tesla created the Wardenclyffe Tower, which he claimed would allow him to transmit energy waves and messages to any point on the globe, acting as an early wireless telecommunications tower. In 1934, Tesla introduced his newest weapon, the Death Ray, which would destroy anything in its path for miles even. He then announced his next weapon that would protect the world from war; The Tesla Shield. The Tesla Shield places a thin, impenetrable hemispherical dome-like shell of energy over a large defended area. If several of these hemispherical shells are concentrically stacked, it could sterilize gamma radiation, even an EMP from a high altitude nuclear explosion above the stack cannot penetrate all the shells due to repetitive absorption and re-radiation, and scattering in the layered plasmas. The air molecules and atoms in the shell are totally ionized and thus highly excited, giving off intense, glowing light. It would become even brighter if anything physical were to hit the shell, as it receives an enormous discharge of electrical energy and is instantly vaporized. It was dubbed a "secret Chinese Wall of defense." 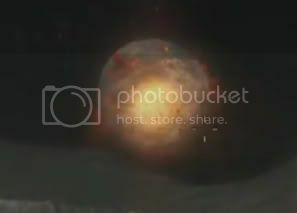 In the Easter Egg, we send the rockets hurdling towards Earth and they end up exploding like you see in the images below. However, what if the Earth wasn't hit? BlindBusDrivr (who gratefully helped me on this thread) showed me aegisknight's theory that Earth wasn't actually hit and the atmosphere was, could there have been a Tesla Shield in place? 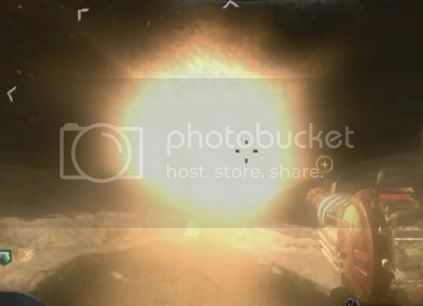 In the Easter Egg, we see that there is a mighty explosion and that there is weird mist and fragments floating in the air. In what is known about the Tesla Shield, it explains that if anything were to hit it, it would give off immense light. The mist and fragments could be the outer layers of the atmosphere being destroyed and burned. 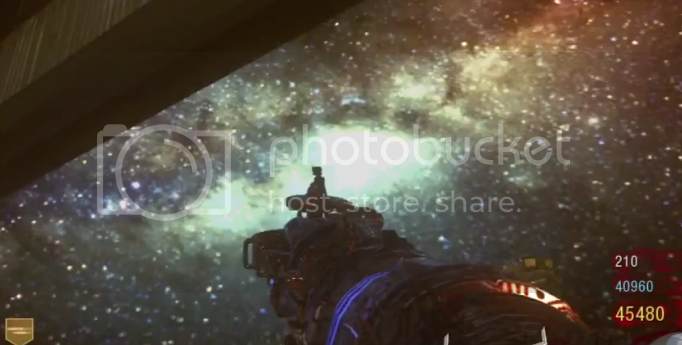 After we finish the Easter Egg and teleport to No Man's Land, we can see a weird blue part of the sky that was not there before. I think it makes the most sense that this would be the site of the first nuke hit, as it appears to have hit the United States. If the note was in the Comm Room...Is it possible Tesla could've worked at SNN a LONG LONG time ago. I don't think so, personally I think it is just another Communications Hut, not relative to Tesla's occupations. However, if the note is in the hut, it could be something, but I don't think he worked there.